It’s crazy to me that it took until senior year at Tulane University to find the Taylor Center, Tulane’s department for Social Innovation and Design Thinking. Thanks to the help of Laura Murphy and the rest of that amazing group of people, I quickly became involved in all things “Taylor”: Fast 48 weekend design boot camps, various guest speakers, numerous crash courses, and even helping bring a Design for America chapter to Tulane. Above all, I was introduced to this emerging practice of design thinking, and what it really meant to try and create solutions to real-world problems with the actual end-users at the forefront of planning. Thankfully, New Orleans didn’t release me from its grasp in 2016, so I continued my studies in International Health and Development at Tulane’s School of Public Health and Tropical Medicine, giving me another year to further immerse myself in the Taylor Center’s programs, meeting dozens of people that have been very influential in my life. I began to challenge myself more with this concept of human-centered design, and started to brainstorm how I could bring this practice into my own passion for community health and development work. 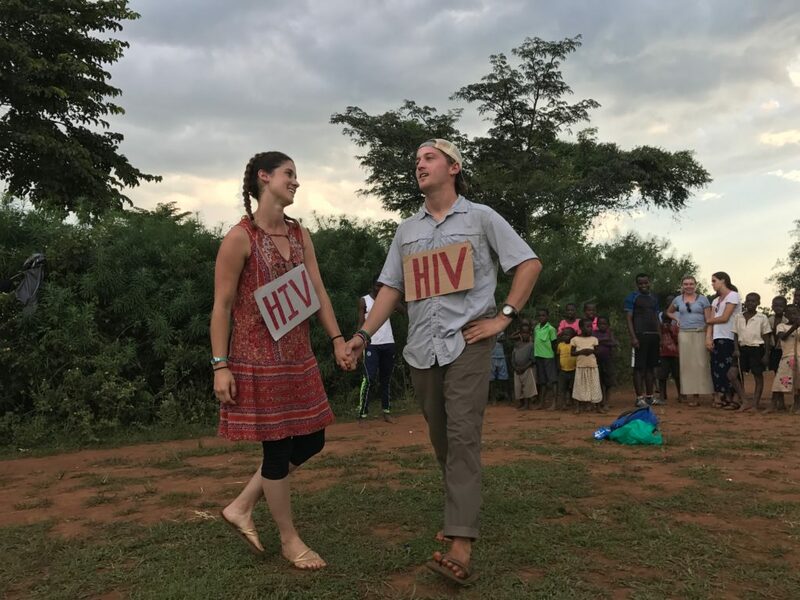 Early in 2017, I began a six-month contract with a grassroots community health organization, Uganda Village Project (UVP), the same group that gave me my first international public health job back in 2015. 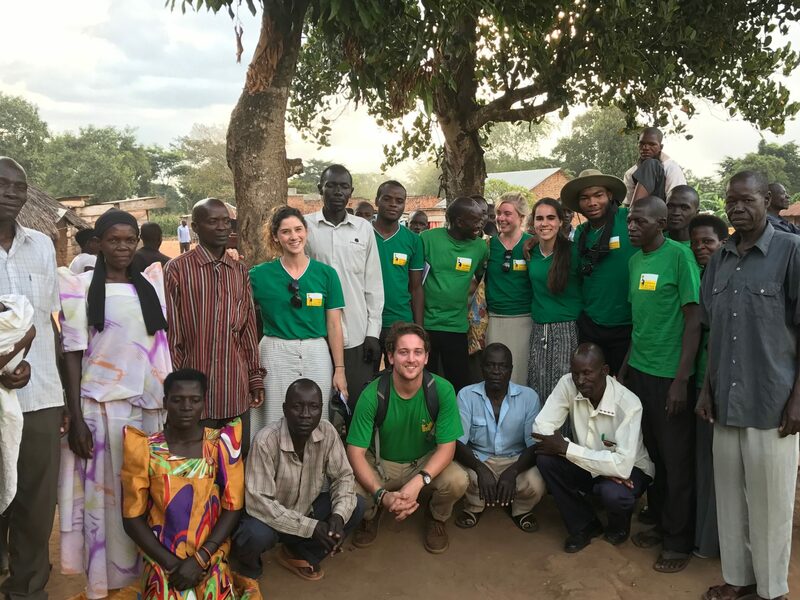 From February until the tail end of August, I dove back into UVP’s work in Southeastern Uganda, spanning issues in reproductive health, WASH, malaria, and HIV/AIDS. I also had the chance to spend over four of those months back in Iganga, Uganda, working with UVP’s staff full-time, and co-running an internship program that puts students from countries around the world in a rural village setting for two months, tasked with designing outreach programs and conducting health sensitizations with real communities. The more I dug into my work, the more I saw the principles of design thinking and the importance of being ‘user-centered’ everywhere I went. I spent time advising interns on their program approaches and strategies, working with village health teams to gauge their opinions on the state of health in the district, and collaborating with an amazing Ugandan staff that knew how to truly empathize with others. In his article, “Lay Designers: Grassroots Innovation for Appropriate Change”, South African industrial designer Angus David Campbell coined the term “Lay Designers”. Much like Campbell, I’ve began to see these people everywhere in my work, those defined as “a common person who design[s] without any judgement of inferiority in terms of professionalized knowledge” (Campbell, Design Issues, 2017). With this design thinking lens on, I began to realize that two of the workers at UVP who ran a reintegration program for Obstetric Fistula patients were inspirational ‘designers’. Maybe they weren’t using the same terms and lingo, but the methods and direction were all there. I was seeing people succeed, and I was seeing people fail, and it was all building up my understanding of how designing solutions to development issues is never one dimensional or exact; it takes time, constant iteration and collaborated effort. In my final weeks with UVP, I enjoyed challenging and insightful conversations with the organization’s Managing Director, Edmund Okiboko, an emerging East African community development leader who had a transformative experience when he encountered the design thinking process at a Young African Leaders Initiative (YALI) conference in Nairobi, Kenya. At the turn of the new year, I find myself in a completely new role, but back in Uganda, a country that has continued to inspire and welcome me as I grow my professional career. I am now working with the Global Livingston Institute (GLI), a social impact and community development NGO that believes education and job creation are the invaluable processes which can help lift millions of people out of poverty. 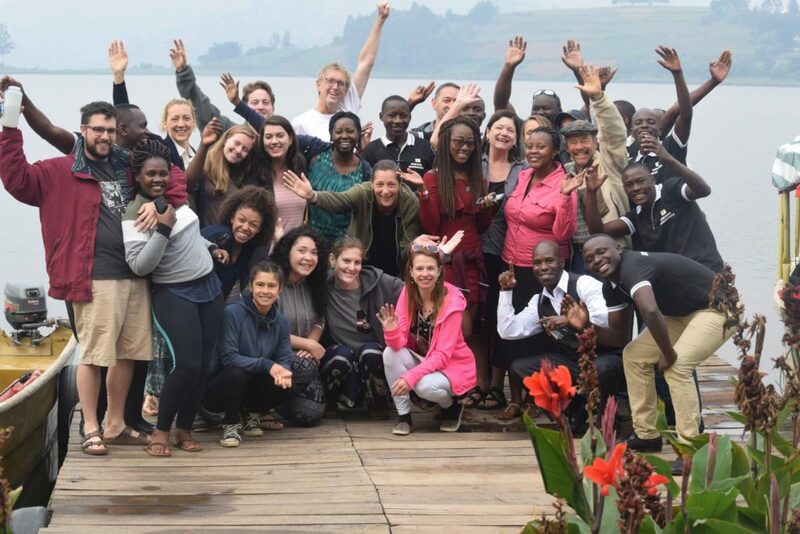 With GLI, I will be helping to manage and oversee much of their programming throughout Uganda and Rwanda, working with an amazing team from both the United States and East Africa. What I look forward to most is bringing my own ideas and insights to the table as GLI sets its sights on 2018. Human-centered design is once again taking shape, this time in a sustainable agriculture project I am helping run, where we are hoping to employ dozens of Ugandan farmers to use smarter growing practices on their own land, potentially launching them out of economic instability. Each new experience that comes my way, I see how much the Taylor center and the world of design thinking has positively impacted and affected the ways that I express my ideas, ask challenging questions, and continue striving to find answers to the world’s wicked development problems. In my life I am constantly ideating, adapting, and carving out my own path towards becoming a real “changemaker”. For my MPH program, I wrote a Public Health Analysis (PHA) paper titled “Design Thinking for Global Health: a critical review of selected peer-reviewed and grey literature”. If you are interested in reading it, the PDF file is attached below. I’d love to get any feedback or ideas on my paper, or anything that I brought up in this blog. Tell me what you loved, tell me what you hated, I am always open to continuing the discussion on design thinking and bouncing new ideas off of one another.